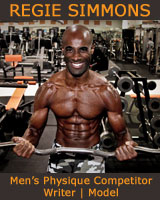 What would be the most detrimental thing to your performance in a physique competition? If you take a second to think about it, the answer is quite simple. The single most dangerous aspect that could prevent you from ranking among the best of the best in your competition is injury. If you manage to injure yourself during the process of preparing for a show, it will greatly impact your ability to work up to your potential. While traveling to compete in Physique shows across the country, I've learned a few things about maximizing my time spent for the weekend. 1. NETWORK – Introduce yourself to as many people as possible. Take photos with your fellow competitors. Get social media going, especially Facebook / Instagram. You would be surprised at how small this world is. I run into some of the same people all over the country. What Happened to the Camaraderie? Many thoughts crossed my mind watching the Olympia this weekend. Great competitors with incredible physiques, upsets, questionable calls, well deserved victories, and what happened to the camaraderie? Inspiration: Today is the Day! Ever since I was a young kid I have always had instilled in me that what we do today in the present moment is what truly matters and I couldn’t be more thankful for learning this practice from early on, it truly has made all the difference in my life. 1. Annual pilgrimage – Have you ever made an annual trip to either the Arnold in Columbus or the Olympia in Las Vegas? If not, I’m sure that it’s on your bucket list. ​Hitting the treadmill in the morning for an hour of cardio is great. Any activity that supplements your daily routine is never going to hurt. However, being in the fitness industry, and being able to boast an IFBB Pro Card takes much more than what the average “gym rat” may be willing to give when it comes to commitment, time, and overall focus. ​The ordinary guy who may go to the gym five times a week is doing his body a favor. He is bound to live a longer and happier life. When he returns home from the gym, he may indulge in a sweet or savory meal. This is where the major differences come in between the average gym goer and someone who is entering competition season. Becoming an IFBB Pro: The process, cost, and challenges! Attending an IFBB competition you'll only see the final results of the years of dedication, determination, hard work, and conquering of all challenges it took to progress and sculpt these phenomenal physiques and earn their IFBB Pro status. It's not as easy as throwing on some boardshorts, posing trunks, or a bikini and stepping onstage with a big smile and some swagger. There's a chain of events that has to take place in order to earn your IFBB Pro card. 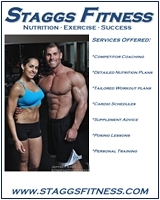 Make Fitness Work for YOU!